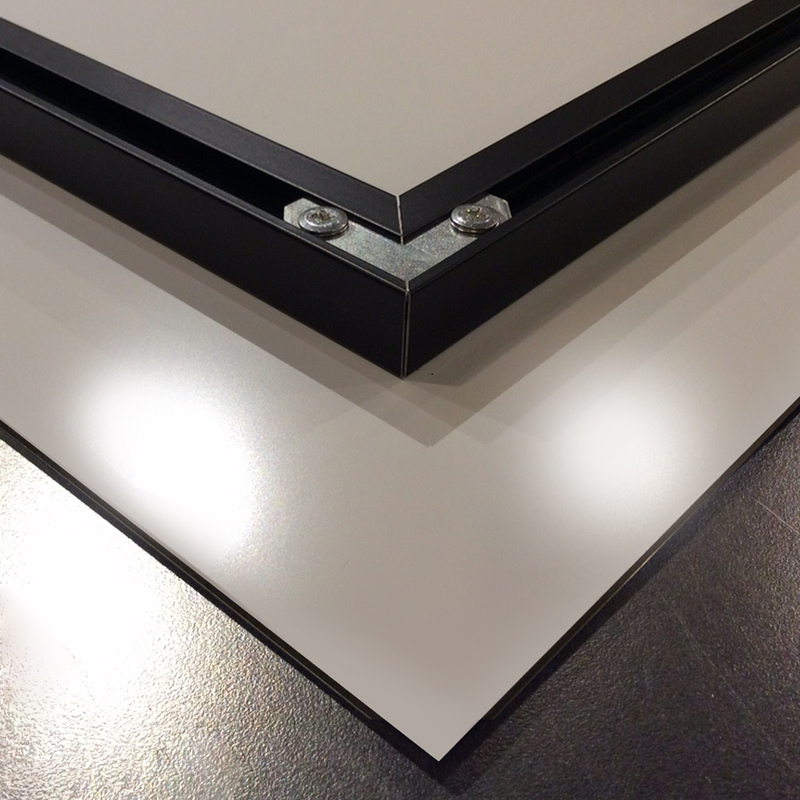 Raw Edge or Beveled Edge available for PleciGlass/Acrylic Products. Present your image in a stunning way and differentiate it from other artwork with a crystal clear, high gloss PlexiPlaq! Using exclusive high grade acrylic, PlexiPlaqs are a resoundingly unique way to present work with superior clarity and durability. DuraPlaq® believes in providing the best products to customers and uses only the highest quality, premium museum-grade acrylic on the market. Partnering superior ultra violet light protection and a scratch resistance coating, this acrylic product has superior durability and protection. A DuraPlaq® fine art print or a customer supplied print is face mounted in a fully acid-free manner. Metallic or glossy type prints are recommended for this product to add extra depth and iridescence for a remarkably modern presentation. The front face is finished with a beveled edge to prevent crazing or cracking along the edges with regular cleaning. A protective, acid-free black coating is applied to the back of the acrylic face-mounted print and completed with a black 0.5” recessed backing with concealed French cleat hanger to give it a floating effect when mounted on the wall. Museum grade, ultra-violet and scratch resistant 3/16” acrylic. Protective acid-free backing and French cleat hanger are made of aluminum frame backing with concealed French cleat hanging system. Overall depth of product is 13/16” from front face to wall. This standard product is available in any size up 48” x 96”. PlexiPlaqs have a scratch resistant, glossy acrylic surface finish. Please visit the care section for instructions on cleaning and maintenance. Black 1/2” French cleat hanging system. Each PlexiPlaq comes ready to hang, complete with appropriate hanging hardware suitable to most traditional wall installations. Please visit the care section for hanging instructions on how to best hang a PlexiPlaq. Plexiplaqs are not recommended for sizes smaller than 8”x10” in order to keep the French cleat hanger concealed. Wire hangers can be added to PlexiPlaqs; however, DuraPlaq® does not warranty or recommend this hanging method due to instability in hanging. Clear 1/8” wide bevel is standard, custom bevels available. 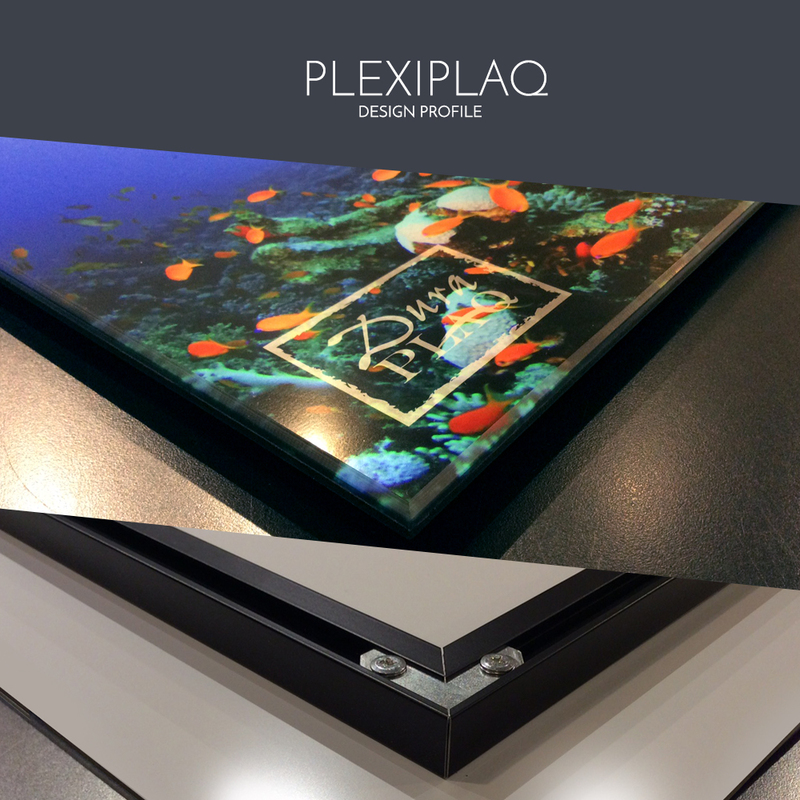 PlexiPlaqs can be provided with a laser flame polished edge, although DuraPlaq® does not recommend this option due to acrylic crazing. Please note that when providing artwork or image files, signatures and crucial components of an image or print should be a minimum 1/4” from the edge to accommodate trimming during the production process. 154 11 x 14 $176.00. $89.00 $119.00 $71.00 Plexi Coaster Product is Approximately 4"x4" Size With Beveled Edge, High Gloss Finish, & Black Backing. Direct Print* Included in Cost. Please Submit Image File at 4.25"x4.25" Size With .125" Border To Be Cropped In Production. 3) Plexi/Arcylic Coaster product is approximately 4″ x 4″ size with beveled edge, high gloss finish, and black backing. Direct Print included in cost for Economy PlexiPlaq. Please Submit Image File at 4.25″ x 4.25″ size with .125″ border to be cropped in production. 4) Due to the nature of printing directly to materials with varying base colors, textures and finishes, there may be variations in the surface and appearance of a direct print or infused print. We do not offer replacements on surface or color variations with products including direct prints or infused prints. 5) Please specify Raw or Beveled edge when ordering.